Dev Deepawali, or Dev Diwali ‘the Diwali of the Gods’ takes place in the holy city of Varanasi every year on the full moon of the Hindu calendar month of Kartika. 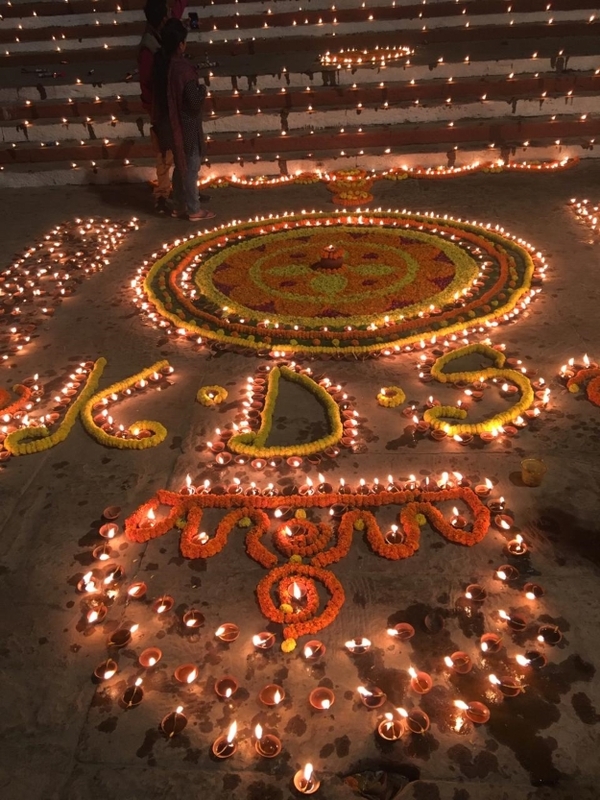 Lesser known but more unique, and equally spectacular as Diwali, Dev Deepawali is marked on a small scale in certain parts of India around the states of Gujarat and Uttar Pradesh. The biggest and most significant celebration is centred around the home of Lord Shiva and India’s most spiritual city – Varanasi. Why is Dev Deepawali celebrated? The festival celebrates the return of the holy deity Lord Shiva to his home at Varanasi after defeating and slaying the demon ‘Tripurasur’. 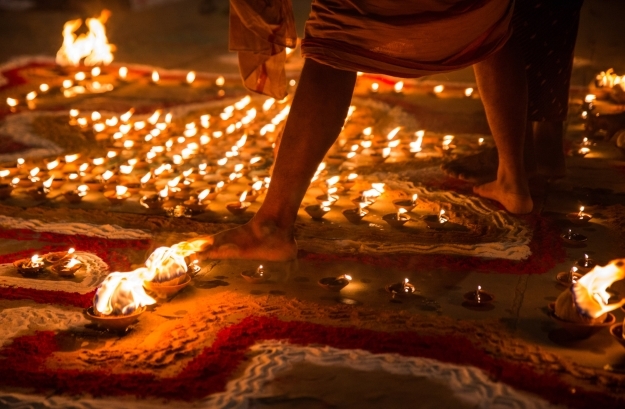 As with Diwali proper, the theme of the celebration is the triumph of good over evil, but also thanking the gods – this element adds an extra level of religious significance to the occasion. It is on this day that the gods are believed to descend to Earth to visit Varanasi and bathe in the River Ganges, joining the victory celebrations. 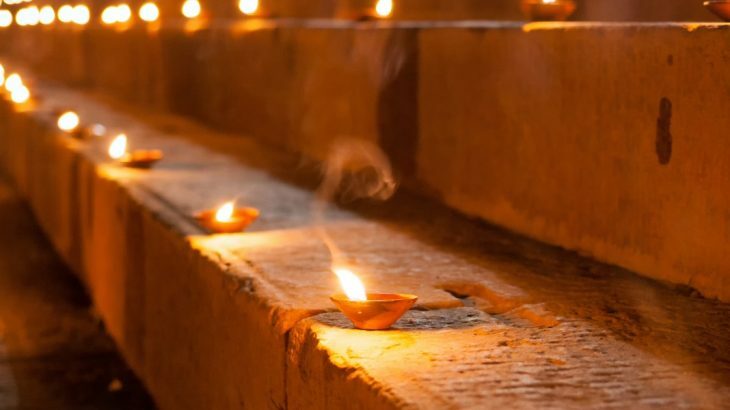 In Varanasi, the heart of the celebration, more than a million earthen oil lamps, called diyas, light up the houses and buildings, and line the streets, ghats (steps down to the Ganges) and riverbanks. More are placed in the river as an offering and the sight of hundreds of flames glittering in the river is truly breathtaking. The fact that the festivities are held on the night of a full moon adds an extra magical dimension with the moonlight reflecting back the warm candlelight and dancing on the river. Fireworks and lasers light up the sky and music and dancing take place along the river, as well as the usual evening aarti ceremony where light is offered to the gods, complete with chanting priests and beating drums. As the festival is thought so holy, nearly 100,000 pilgrims make their way to Varanasi over this period to celebrate, pray and take a holy dip in the sacred Ganges to wash away their sins. 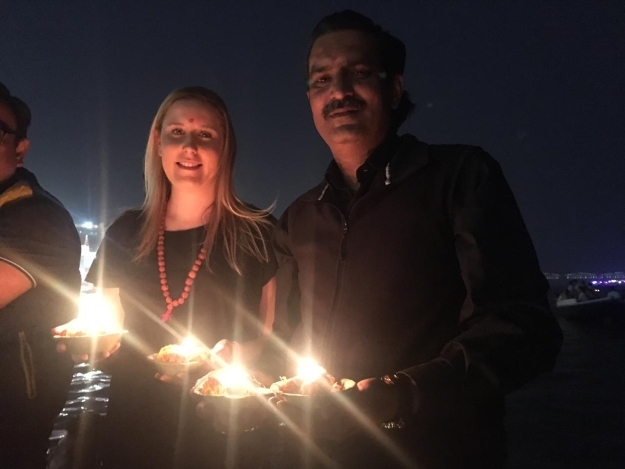 This year, Dev Deepawali is taking place in Varanasi on the 12th November and would make a unique, once-in-a-lifetime experience to add to any holidays to India. Wendy Wu Tours can take you to join in the celebrations on a tailormade holiday, or you could add a private Varanasi extension to one of our exciting group tours to coincide with this special event. Discover our Golden Triangle (2nd November departure), Jewels of India (2nd November departure), Inspiring India (25th October departure) or Indian Adventure (26th October departure) itineraries to explore more of this fascinating country before ending your trip with this incredible highlight. India culture, festivals, top things to see. permalink.